There are two key programming components that make the Fostering Learning Program successful, first is the specialized online academic and career/technical education curriculum and second is the intimate collaboration and support component provided to the participating centers. Together these key programming services have and will continue to drive services forward for years to come. In the following section, these two components are explained in more detail. Specialized Curriculum: The Fostering Learning Program partners with Odysseyware, experts in online learning solutions for at-risk youth. With over a decade of experience, Odysseyware is a leading provider of online curriculum and eLearning solutions for public, virtual, charter and alternative schools. Used nationwide by thousands of schools, Odysseyware's learning management system and proven, research based core curriculum, assessments, and robust, targeted learning tools, provide administrators, teachers and students with powerful learning solutions that can be utilized in a myriad of instructional settings. Core subjects include math, history and geography, science and language arts. Electives include Career Technical Education, business, fine arts, health and world languages. Odysseyware was intentionally designed to meet the needs of 21st Century Learners and address diverse learning styles by incorporating embedded interactive, multimedia instructional videos, learning games, rich illustrations, and animations. A text-to-speech function is incorporated for auditory learners and Odysseyware’s translate is a strong resource for ELL programs. Odysseyware is also fully customizable, allowing teachers to set and adjust unique learning paths tailored to individual student needs and to align with unique state standards and instructional scope and sequences. Through the use of the Odysseyware online curriculum, youth have the enhanced opportunity for credit attainment, grade promotion, graduation and social/emotional skill gain. This educational incentive serves to strengthen and increase interest and involvement in the program, and ultimately this credit-based incentive aids in accelerated skill and credit acquisition for DCFS youth. Collaboration & Support: The Fostering Learning Program works intimately with participating DCFS agencies servicing Illinois youth-in-care (typically disabilities: BD, ED, LD, ASD, CD or OHI) to develop or enhance the virtual learning environment utilizing a 21st century education model. This learning model reaches beyond the traditional classroom materials to leverage technology in effort to create relevant learning experiences that mirror students’ daily lives and the reality of their futures. 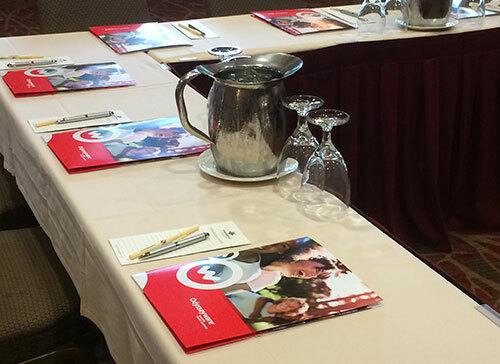 Through initial consultation, continual training and on-site availability the Fostering Learning Program offers unparalleled, low-cost, direct technical support in-person, via phone and by email, which promotes the rapid development, implementation and continued investment in virtual learning services. By delivering a high quality, specialized curriculum and providing unparalleled support to our partner agencies, the Fostering Learning Program has designed its own formula for success. The program’s success will continue to benefit countless Illinois youth in the years to come, and their achievements will, in turn, foster the growth of future generations making our communities stronger and more tuned into the impact of education services provided through publicly funded NFP’s like the Alternative Schools Network. 2015 Fostering Learning Program Highlights: 2015 was another year of learning success for nearly 500 DCFS youth-in-care at 10 therapeutic day schools across the state of Illinois. Together these students clocked nearly 40,000 hours of online curriculum usage during this past school year. This is a huge achievement, and we celebrate each and every participant and the teachers that help these students experience the joy and benefits of academic success. Congratulations everyone on a great year! As change is the only constant in life, the Fostering Learning Program and ASN says goodbye and thank you to an old friend this year. After nearly two decades of partnering with The Remediation and Training Institute (a pioneer in developing and delivering online curriculum designed to meet the needs of at-risk youth) to provide Extralearning Online to thousands of students across Illinois, we have decided to part ways with the Virginia-based company that has been an integral part of the programming we provide and the success of the students we serve. This decision was made in response to the ever-changing demands of academic standards, the needs of our partner schools and the continued effort of the Fostering Learning Program and ASN to provide high quality programming. As such, we are proud to announce our new partnership with Odysseyware, a nationwide leader and expert in virtual learning environments, and we look forward to this new relationship and years of success. 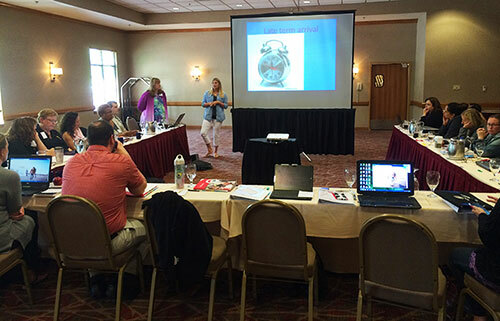 In preparation for the 2015-2016 programming change, the Fostering Learning Program held the first, annual Administrator & Principal retreat in Lake Geneva, Wisconsin. Staff members from each of the participating agencies were invited to the TimberRidge Lodge for a weekend of learning, planning and relaxation. Staff had a comprehensive introduction to the Odysseyware programming and features and a hands-on experience to see just how amazing and integral this new learning environment will be to delivering curriculum in the coming and future school years. The response, to say the least, was overwhelmingly positive and the excitement was absolutely electric as everyone shared ideas on implementation and began to plan for the upcoming school year. We would like to extend a special thanks to Odysseyware representative, Amiee Burley, for her participation and expertise. The Fostering Learning Program is looking forward to another exciting and successful year of education for staff and students alike. If you would like to learn more about The Fostering Learning Program or the Alternative Schools Network, please visit www.asnchicago.org for additional information and donate to become a part of our growing family and supporters.